We are the market-leading electric heating and hot water products manufacturer specialising in domestic and commercial hot water, hygiene and drinking water solutions and renewable technology. Our market-leading hot water systems set the standard for durability, performance and energy efficiency. 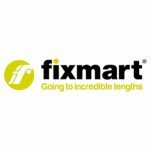 We spend a great deal of time ensuring our products are easy to install, simple to maintain and will provide many years of faithful service. With our extensive range of solutions, from studio flats to commercial environments, we have a product tailored to meet your specific needs. 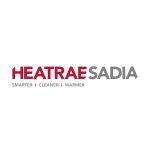 At Heatrae Sadia we aim to place high quality, reliable products at the very heart of your home and workplace. Made to our own demanding standards of safety and quality, our products provide the perfect balance of control and comfort and are backed by our UK based customer support team and a nationwide network of engineers. We offer a vast range of brands including Unistrut, Gripple, Lindapter, Zip Clip to name but a few. We hold ample stocks for key lines so you can be sure we will deliver what you need when you need it. Choose from a portfolio of over 14,000 fixings and anchors, threaded fasteners, channels, and bracketry products, pipe support, roof and mounting supports, containment and suspension products, power and hand tools, site equipment and consumables and a range of ductwork products. We also offer a Prefab solution. We’ll undertake an initial discussion of your exact requirements and if necessary, we can even carry out a site visit to offer advice on potential solutions for the installation of M&E and HVAC services. Based on our discussions and any supporting information (such as drawings) a product specification will be agreed that includes: measurements, components and fixing method as well as the quantity required and any delivery considerations. Based on the agreed specification we will create a prototype to ensure the bracket is fit for purpose and establish a realistic timescale for manufacture. We will then provide you with an accurate quote and production proposal. On accepting our quote and production proposal we will finalise a schedule for delivery. The manufacture of your brackets will then commence and be monitored daily to ensure their quality and that production targets are met with minimum wastage. We will securely package and deliver your completed brackets to the agreed timescale. Based on your requirements for offloading, storage and installation we can supply your completed brackets in batches or a single delivery. Our knowledgeable team will be happy to help and advise you. We’re open between 7.00 and 4.30PM, Monday to Friday. 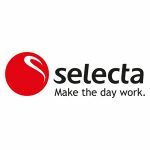 Inspiring generations for over 60 years, Selecta leads the way in providing vending solutions and specialist coffee services in Europe and UK. Using our passion, knowledge, teamwork and customer-focused approach we offer high quality products, innovative concepts and a strong service. We work hard to improve the coffee experience for everyone through our Pelican Rouge and miofino brands as well as working with partners Lavazza and Starbucks. We also lead the way in offering healthier products across both drinks and snacks. All of our modern vending machines are produced by leading manufacturers. They are high quality, energy efficient and utilise the latest technology so that the products are available in the best condition. Our product ranges – coffee and other hot drinks, snacks, cold drinks – have been designed by combining consumer insight with our expertise. These are tailored to suit your business. So whether you’re in transport, education, healthcare, manufacturing, logistics or city offices, we have the right vending offer for you. This is all backed by strong service. With 14 offices throughout the UK and Ireland, supported by a UK contact centre, we offer national service coverage with the benefit of having local teams to support our customers. These teams of field-based merchandisers and engineers are employed by us so have the specialist knowledge needed to keep machines full, clean and working. Founded and headquartered in Switzerland in 1957, we have grown our geographic market presence to 16 countries across Europe. We serve more than 10 million people every day at 450,000 points of sale addressing the growing need for out-of-home food and beverage services at the workplace, on-the-go as well as hotels, restaurants and cafes. Within the UK we are relied on and trusted by over 3,500 businesses. employees reach their full potential. 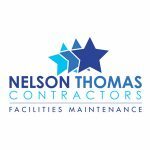 Nelson Thomas Contractors carry out our services throughout the UK, and with the link to our website below, you can see the previous works we have completed. Our company is Certified with Safecontractor, GAS Safe, NICEIC, Trustmark, IPAF and ISO9001, CHAS, ADSA, ConstructionLine. Daikin Applied Service offers full after-sales support for the maintenance and repair of ALL brands of HVAC systems including, chillers, Air Handling Units and Air Conditioning, as well as remote monitoring and management even for the most critical installations. Operating 24/7 throughout the UK, Daikin Applied Service offers world leading end-to-end service solutions for Facilities Managers and engineering professionals within the HVAC community. 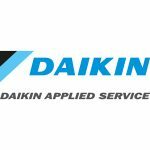 Dakin Applied is also well positioned to assist commercial clients with any Ground or Air Source Heat pump service and maintenance requirements. Speak to our experienced spares team today on 01670 566243 or email spares@daikinapplied.uk, to help you identify the correct part and advise the best price and current availability. We also have access to a dedicated spares bank which enables us to provide you with reasonable lead times. 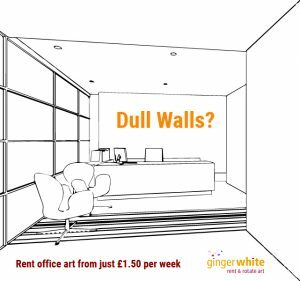 Founded in 2006, GingerWhite specialises in renting contemporary art to offices and businesses. Our friendly and professional team provides a complete service, from helping select suitable art for your business type and space, to delivery and installation. Life is too short for empty or dull walls. Artwork should brighten up the everyday places where we all work and visit; and not just be restricted to galleries or exhibitions. With our uplifting modern collection of high quality paintings, limited edition prints and stylish photography, it’s time to turn some heads, stir your staff and impress your customers. Don’t we all need a change of scenery now and again? That’s why every 6, 12 or 24 months, using GingerWhite’s unique “Rent & Rotate Art”™ rental service, you can pick a brand new art display which our team will install for you. We promote art from a wide range of contemporary artists. Our motto is good quality striking art at sensible prices with weekly rental prices from just £1.50 per piece of artwork. We rent art to large and small clients in a variety of sectors, including financial, property, leisure, health, media, IT & communications, and local government. Our friendly team can help you select office art for your business type and interior space. For more information, see our website http://www.rentandrotateart.co.uk, visit our gallery in East London, or call 0207 359 3964. 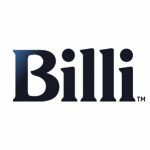 Billi – the leading manufacturer and supplier of boiling, chilled and sparkling filtered drinking water dispensing systems. What Is Billi All About? The Billi brand is synonymous with innovation and we provide boiling, chilled and sparkling drinking water systems. Moreover, everything we make is of uncompromising quality backed by a world class customer service experience – the Billi Experience. Our award-winning boiling and chilled water systems are preferred by designers and architects for their timeless styling and space-saving design. Consequently, the space, energy and time efficiency benefits mean that Billi stays ahead. Billi, the essential appliance in commercial kitchens and teapoints today. Put Billi systems into your facility today. Boiling and Chilled Systems – Billi Got There First! 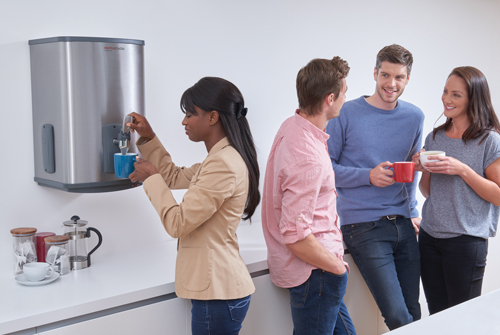 As more workplaces chose pure filtered water, a safe, attractive alternative to standard appliances was essential. A truly innovative concept, the groundbreaking Billi products were launched in the early 1990s. Furthermore, Billi was also the first to offer the choice of filtered boiling and chilled drinking water from a single tap. Because of the benefits of a neatly concealed under-counter drinking water system, Billi products were instantly recognised and embraced. 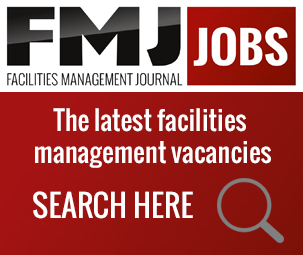 Kirona is the leading supplier of dynamic resource scheduling, planning and mobile applications for organisations in the facilities management sector. Kirona’s field service software enables organisations to increase productivity, reduce costs, gain real-time workforce visibility and improve service quality. Kirona’s DRS Scheduler is the leading dynamic scheduler for field service management, it seamlessly blends appointed, planned and responsive work across the field based workforce. Kirona’s DRS software helps clients increase productivity, ensure that all customer commitments are met, travel time is kept to a minimum and more tasks are completed in a single day. The additional benefit of the Cyclical Servicing functionality enables organisations who implement regular, cyclical jobs such as gas servicing, gutter cleaning, etc. can automate the planning and scheduling of these jobs. Kirona’s Job Manager mobile application connects centralised teams with their field-based workforce in real time to enable organisations to increase productivity, improve customer service and reduce costs. Kirona’s InfoSuite business information software provides your organisation with real-time actionable insight into what is important to you. Kirona InfoSuite provides you with a holistic view of your operation, visibility of key performance indicators and the ability to quickly drill down on the underlying detail. 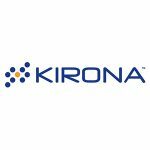 Kirona are approved G Cloud Crown Commercial Service Digital Marketplace Suppliers and are ISO 20000-1 Information Technology Service Management, ISO 9001 Quality Management and ISO 27001 Information Security Management accredited. Contact info@kiorna.com to request further information or to arrange a demonstration. 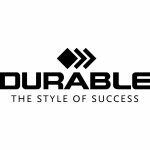 Durable have been one of Europe’s largest business supplies manufacturers for almost 100 years. We’re pioneers in developing and producing premium solutions for the FM market which includes the award-winning DURAFRAME® range, security and safety products as well as solutions for recycling and waste. Durable has presence in over 80 countries. Our UK headquarters is situated near Bournemouth on the south coast of England, which stocks over 1,000 sku’s and provides a next day delivery service. DURAFRAME® is an innovative and easy to use signage solution, presenting important information clearly and professionally. This unique frame has revolutionised the way personnel can display notices, health & safety and warning information. Featuring a simple magnetic panel that can be lifted away from the frame, information can be quickly and easily inserted for display. The DURAFRAME® range is available in either self-adhesive or magnetic and in various sizes and colours. DURAFRAME® SECURITY frame styles comply with ISO 3864-4 safety colours. DURAFRAME® can also be custom made to include your branding. To request your free sample email marketing@durable-uk.com. VISITOR BOOKS are often the first interaction a visitor will have with your organisation once they have arrived. Durable’s range of premium visitor books are available in 100 or 300 record capacities and feature a leather-look padded cover. Reception staff can keep a record of visitors entering the premises and a copy of the record can be detached from the book and inserted into a Durable visitor badge or security pass holder. DURABIN is a versatile range of equipment for waste management which uses colour-coding and efficient labelling to make waste sorting simple. DURABIN containers are made of premium plastics in a wide variety of sizes and colours suitable for storing loose, pourable bulk materials. They are also food safe in accordance with EU regulation no. 1935/2004/EC. They are suitable for use in kitchens, warehouses, hospitals, offices and more. Makita is the leading world class brand of professional power tools and accessories known for quality, performance and durability in rigorous industrial use. Operating for over 100 years globally, and over 45 years in the UK, Makita’s UK offices and main distribution centre is located in Milton Keynes. As market leader Makita is Britain’s number one professional power tool manufacturer and the only brand with a UK manufacturing facility which is located in Telford. The range has an extensive inventory of over 620 products which includes professional cleaning products from cordless vacuums – hand held, back pack and robotic – and L-class and M-class dust extractors to power washers. 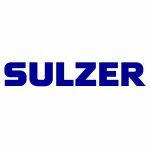 Sulzer, headquartered in Winterthur, Switzerland, since 1834, is specialized in pumping solutions, rotating equipment maintenance and services as well as separation, reaction, and mixing technology. Sulzer provides cutting-edge maintenance and service solutions for rotating equipment dedicated to improving customers’ processes and business performance. When pumps, turbines, compressors, generators, and motors are essential to operations, Sulzer offers technically advanced and innovative solutions. 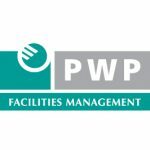 PWP Facilities Management recognise that, when it comes to service, one size does not fit all. That is why we provide completely bespoke, quality building services maintenance – both planned and reactive – for some of the UK’s leading organisations. Our tailored and integrated approach ensures that our customers are always guaranteed the optimum solution to meet their requirements and it is this flexible ethos that has firmly established our reputation for outstanding technical excellence, innovation and integrity over the last twenty years. Still proudly managed by its founders, the company operates a 24/7, 365 days per year call-out facility with our own, in-house team of professional, highly-skilled engineers. With an uncompromising commitment to quality and exemplary standards of service, you can depend on us to deliver. 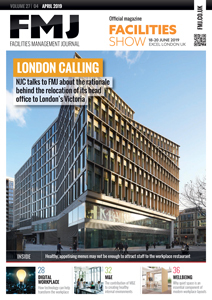 3i Studio provide the very best in Estates & Facilities Management software. Complemented with a full range of supporting services including cloud hosting and data management, 3i Estate Suite is a streamlined and cost effective Facilities Managment system that gives you great value for money. ESTATE Suite enables you to manage every aspect of your property portfolio. From Asbestos Management to Building Condition Appraisal, from Lease & Legal to Compliance, if you have an estate to manage, we have a software solution that is right for you. Your customers are changing, becoming more complex and discerning about how they want to be reached. At kpm we understand that postal and electronic communications are completely distinct entities that share equal importance for the future of marketing. In an ever-changing environment that demands you stay ahead of the game, with kpm as your partner in communications you can take that step with confidence. Whether financial, corporate or commercial, kpm are your partner in communications. Our proven track record and ISO accreditations pay testimony to our attention to detail and commitment to service. Time and again customers have found themselves in safe hands with kpm. Our goal is to provide solutions that don’t just fulfil your short-term needs but also provide a framework that will serve your company long into the future. kpm delivers you fast, accurate results regardless of the size or complexity of your communications requirements. Every time. 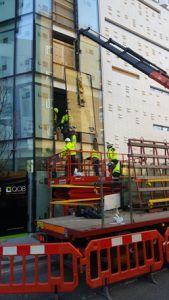 For over 30 years GIG has designed, manufactured and installed high quality bespoke facades, window systems and brise soleil to major construction projects working nationally with Developers, Architects, Contractors, Engineers and property management companies. GIG offers bespoke service and maintenance for your façade and glazed roofing needs to all projects not only GIG supplied ones, working for developers, facilities and building management suppliers insurance companies contractors and engineers. 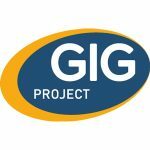 GIG has a skilled workforce and resources offering Planned and Reactive maintenance in addition to investigation / problem solving providing detailed reporting at all stages. Safe systems of working are paramount, with all works undertaken by a skilled, trained, competent workforce working with the latest plant and equipment available, supervised by experienced project and site management. All works are Project Managed to an agreed programme with specific detailed Risk Assessment and Method Statements, training matrix and equipment inspection certificates. On site water testing and reporting. 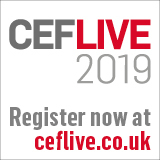 GIG is certified with Achilles, Safe Contractor, Considerate Contractor and are members of The Centre for Window and Cladding Technology (CWCT), with all management and supervision CSCS and SMSTS qualified. Lustalux Ltd is a market leader in the supply and installation of Window Film, Graphics, Branding and Signage throughout the UK. Since 1991 our experts have been installing Window Films that provides comfort, safety, security and visual enhancement. We will reduce your solar gain and glare, provide you with privacy and protect your personnel from injury in the event of accidental or deliberate breakage. 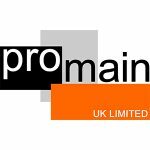 Promain are approved distributors for many of the world’s leading paint and surface coatings manufacturers including 3M, Rust-Oleum, Sika, Ameron, Sigma, (now PPG), Bedec, Jotun, Classidur, Owatrol, Blackfriar, Osmo, Tor, Sherwin Williams, Mapei, Protectakote, Bollom Intumescent coatings and many others. We are committed to provide a professional level of service and commitment. If you feel there is any way we could improve the service we provide or improve our web site or have any comments about the products we provide, we would be pleased to hear from you. Please do not hesitate to call 01462 421 333 for technical advice or prices – we will be pleased to help you. New customers can register and order online. With over 20 years of experience, Prime Facility Services is a commercial and industrial cleaning company based in Birmingham. We have the experience and expertise to extend across the UK and provide exceptional cleaning services. 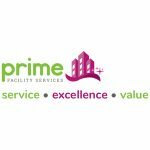 Over 250 local companies and organisations across the West Midlands and Shropshire have chosen Prime Facility Services as their commercial cleaning partner. We cover all types of market sectors and industries, from factories to health centres and housing associations. If you need professional cleaning services, then please get in touch with one of our friendly cleaning specialists. We have a professional team of commercial, industrial, and specialist cleaners with years of experience and knowledge to recommend the most suitable cleaning solution for your business.